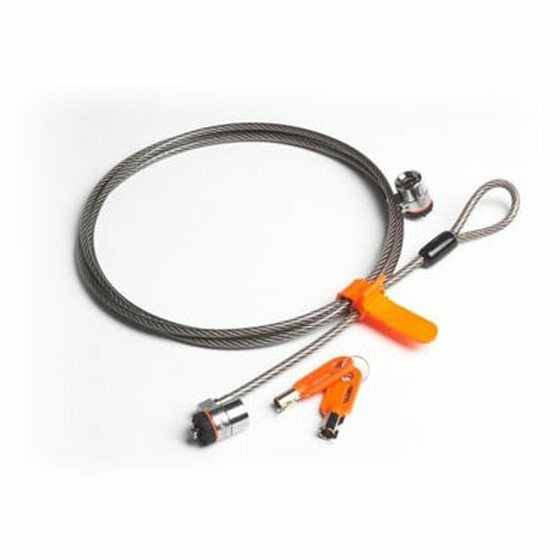 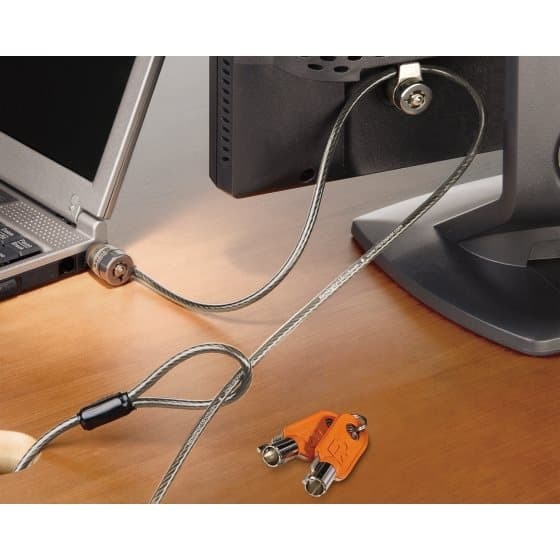 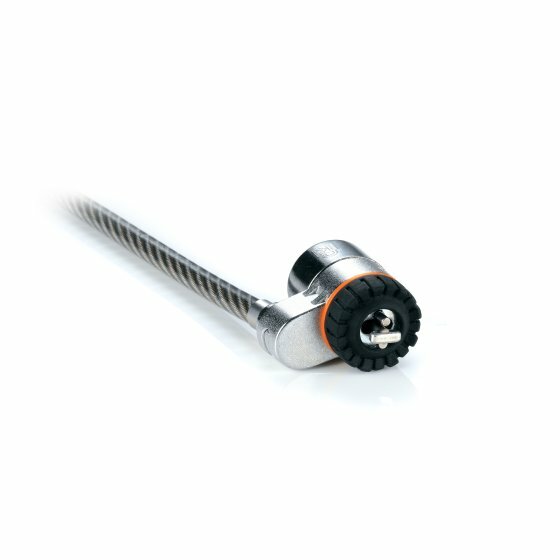 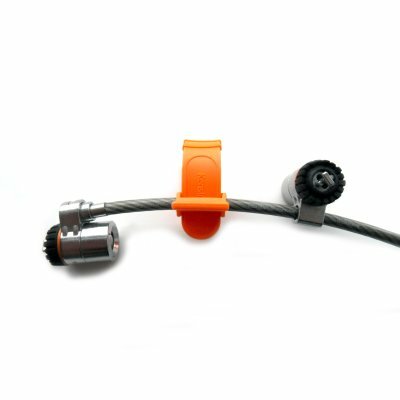 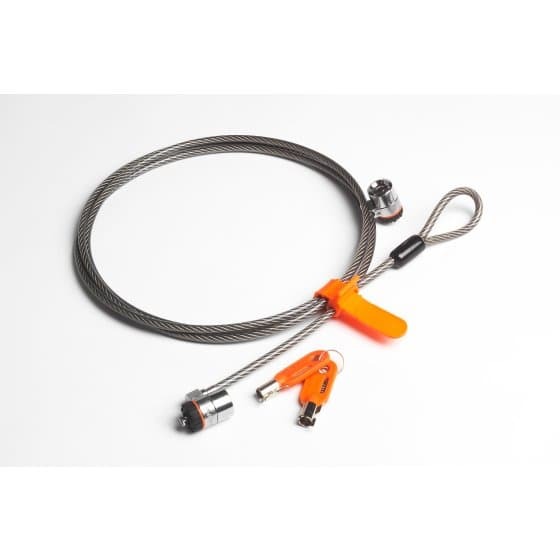 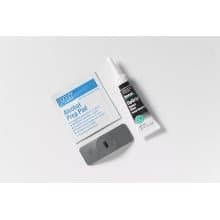 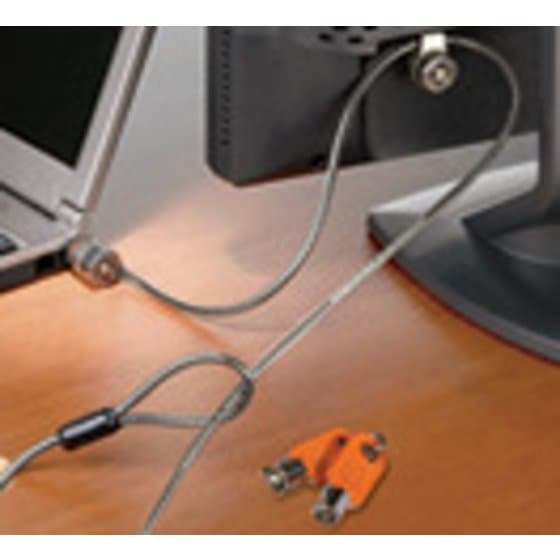 Let your security cable and lock do double duty with the MicroSaver Keyed Twin Head Lock. 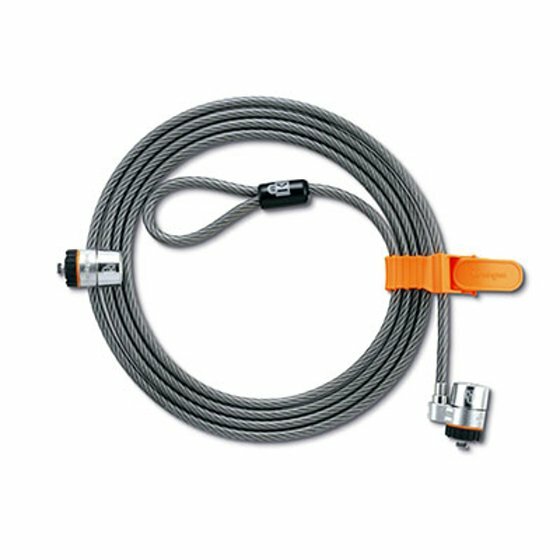 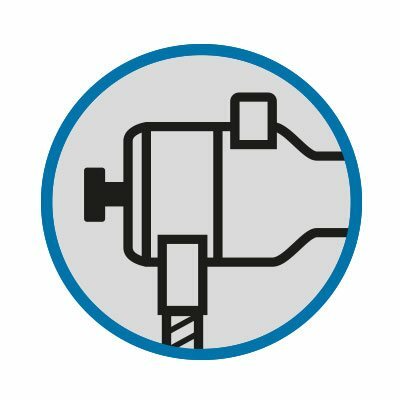 Kensington is the industry standard, locking devices for more than 20 years. 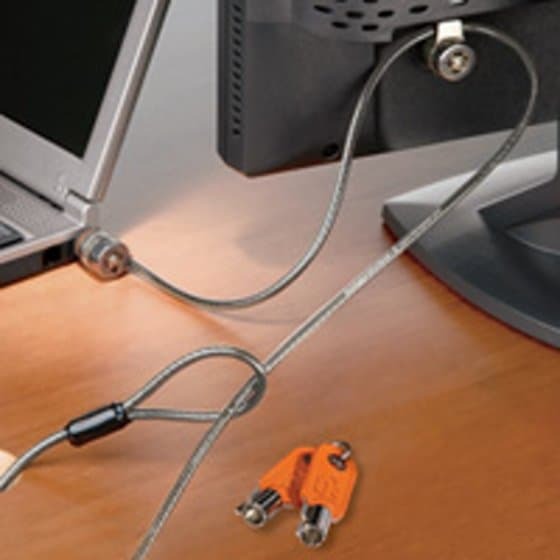 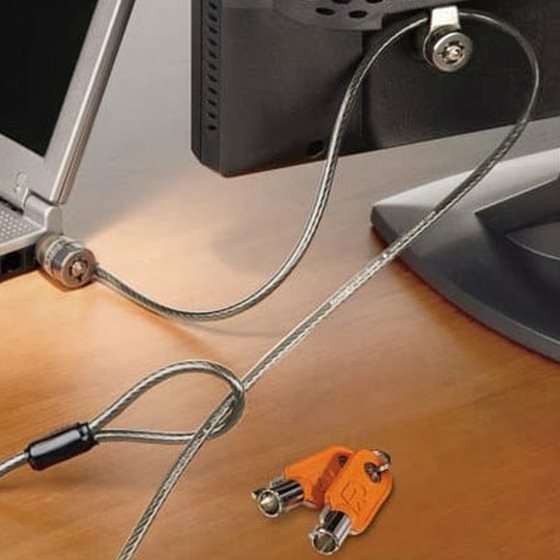 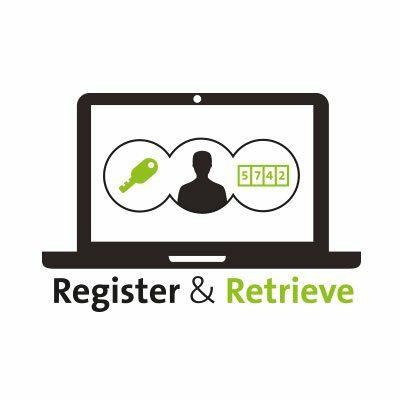 Two T-Bar™ locks easily secure your laptop and a peripheral desktop device like a monitor or external hard drive with a Kensington Security Slot, all on a single cable. 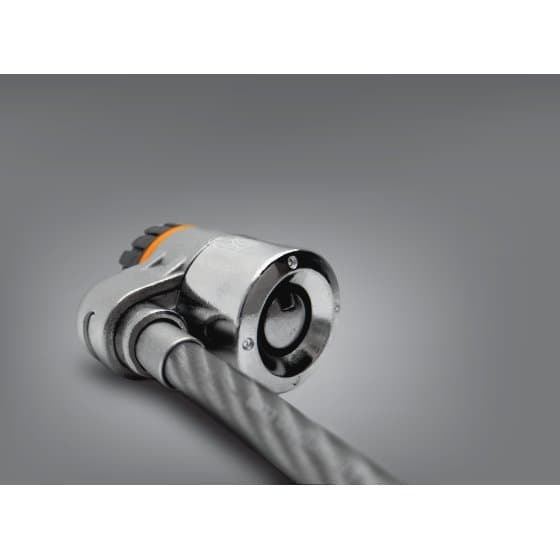 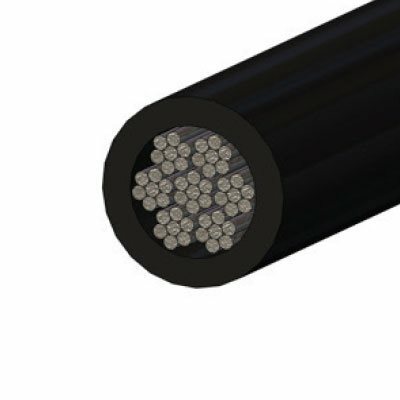 The 7.5-foot cable is 40% stronger than a standard cable and features aircraft-grade steel.